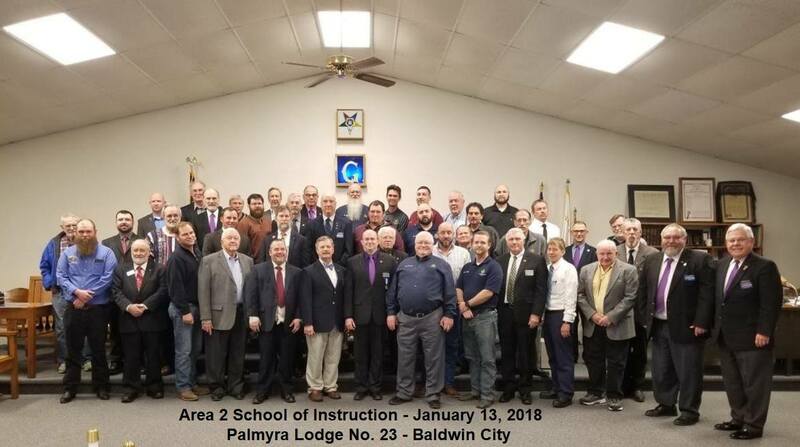 Gardner Lodge members recently attended the Area 2 school of instruction held at Palmyra Lodge No. 23 in Baldwin, Kansas this year. This was a wonderful event and much was learned by the Brethren in attendance. The event was very well attended by nearly 50 Brothers from area lodges present for the school. The School was hosted by District Deputy Jim Burns and the day was led by Grand Lecturer Vernon Clark.